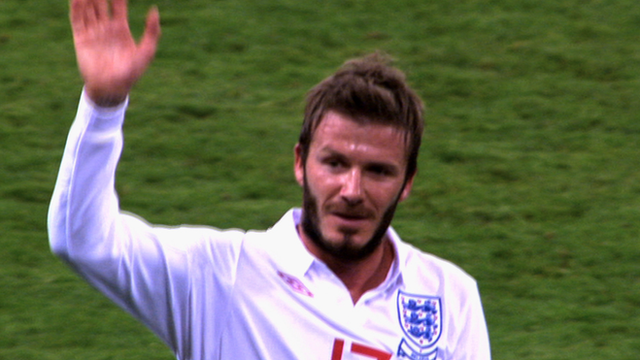 Former England captain David Beckham will have a role in Friday's London 2012 Olympic opening ceremony. Beckham, 37, would not divulge any details of his role as organisers try to keep the ceremony events secret. He said: "It is some kind of role in the opening ceremony which I am honoured to be involved in because, obviously, I was involved in the start process with this seven years ago. "And for Seb [Coe] to have kept me involved, I'm very proud of that." Beckham was a surprise exclusion from Stuart Pearce's GB football squad for the Games. At the time, London 2012 chief Lord Coe said he would be talking to Beckham about a role during the Olympics. "David has been an extraordinary supporter - probably our number one supporter - of the Games from the very beginning and is keen to continue his enthusiastic support right to the end," Lord Coe said. "He is from East London and knows how important the Games and sport are to young people. He is a great role model." The Los Angeles Galaxy midfielder also plans to travel back to London to catch some events when he is not on duty for the Major League Soccer side. "I'll be going back and forward but I'll definitely be trying to get to a few events," Beckham said. "I was brought up around this side of London and, you know, to actually see the changes that have happened and the excitement that's going on is a proud moment." Despite missing out on being involved competitively in the Olympics, Beckham hinted he has still not given up hope of playing international football again. "I'll always have ambitions in football as long as I am playing," he said. "I might be 37 years old but I still want to continue to win championships, I still want to continue to be the best that I can be and continue to represent my country in any way, shape or form."